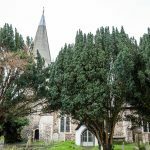 The Big Idea behind Champing was to raise funds and build awareness – to get people using the unique church buildings once more. All very noble and worthy causes we’re sure you’ll agree – but we also just wanted to have some fun. 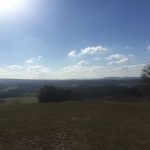 The first guest blogger is the delightful Amanda Williams from sustainable tourism blog Amanda’s Wanderlust, who stayed in the rather frightfully nice church of St Peter & St Paul in Albury, in the Surrey Hills. 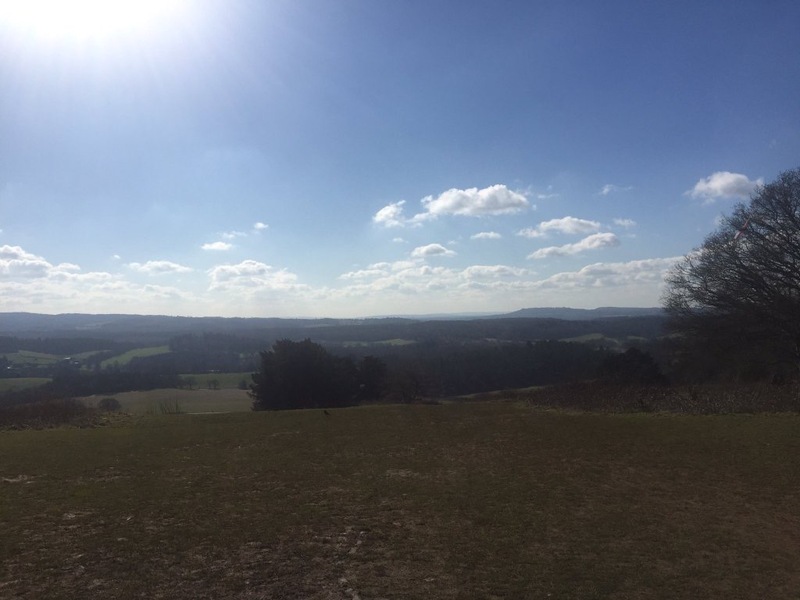 You can read her full account on her blog, but we’ve extracted the best bucolic bits that really paint a picture with words! Albury church. It’s down there somewhere. It took just a minute to light up the candles and lanterns that had been provided for the hours of darkness, and any concerns about sleeping in a church were settled by a feeling of real peace and tranquillity both within the building and the wider parkland. In the soft light I looked around in awe of the surroundings. 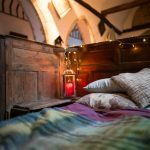 Where else can you snuggle down for the night in a truly ancient space that has probably not changed much for hundreds of years? This was certainly an atmospheric place to stay…settling down to sleep I was aware of the sounds of the night. A distant owl hooted and the gate to the church yard creaked in the wind. I focused on the babble of the river as it washed gently by and was asleep within minutes. 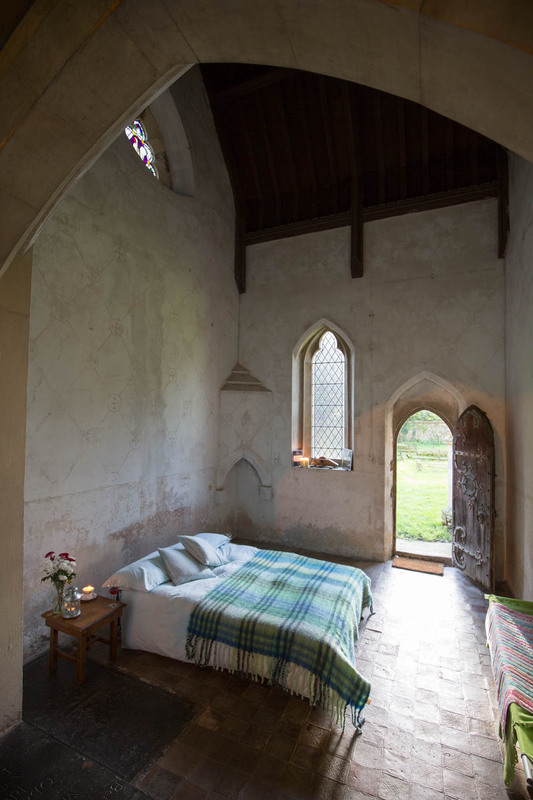 I was woken just three times in the night, once by the sound of something in the bell tower (most likely bats), once by a cheeky ewe and two lambs who had taken shelter from the rain by standing in the porch, and finally by the chorus of birds at dawn. 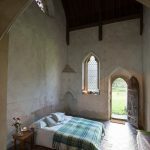 This is one of the most unique places I have stayed in the UK, and a fascinating building in it’s own right. Fordwich church. It’s in there somewhere. 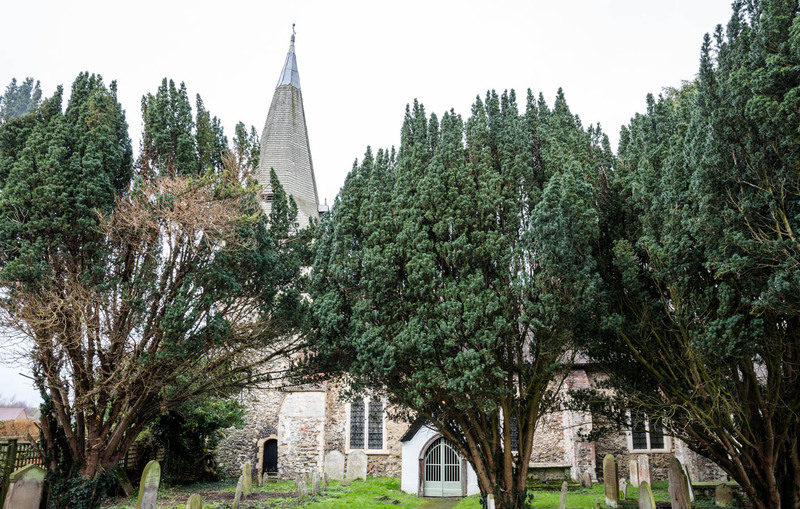 St Mary’s is a church where generations of men and women have left their mark – their hopes and fears, joys and sorrows written into wood and stone. It is a special place, a place to be savoured. 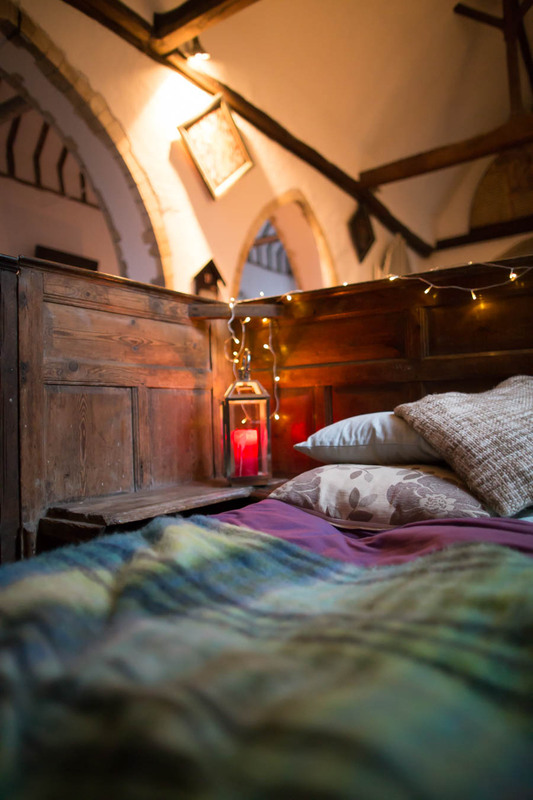 I was lucky enough to ‘champ’ there, sleeping in an 18th century box-pew, making tea and coffee by a Norman tombstone, relaxing in a medieval chapel. St Mary’s embodies the best of ‘champing’. It combines beautiful surroundings with a truly engrossing history. It provides comfortable places within itself to sleep, eat and relax. Every corner of the church encourages and rewards exploration. For mine, my time at St Mary’s also provided a much-needed break from the tumult of modern life. There’s something about staying in a millennia-old building – a church – that encourages still, quiet and contemplation. Surrounded by memorials to many who died far too young, I was forced to consider just how lucky I am. In an age where many promise quick fixes to the ailments of modern life, I can recommend ‘champing’ as something approaching a cure. It allows mindfulness and deep contemplation in a way that self-help books and meditation apps simply can’t deliver. It invites those taking part to do everything with a little more purpose, with a little more thought. The history, the weight of the space slows the pace and encourages enjoyment of simply being. If you are looking for a weekend experience that is truly different, if you need a break from what ails, ‘champing’ is a tremendous opportunity. Thanks Mike. We’re feeling a bit emotional now, we couldn’t have put it better!